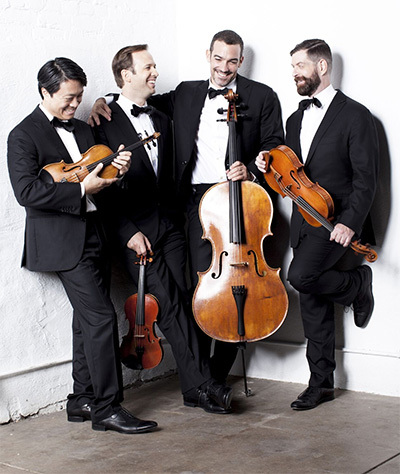 Miró Quartet members: Daniel Ching, violin, William Fedkenheuer, violin, Joshua Gindele, cello, John Largess, violin. Photo courtesy of the Miró Quartet. 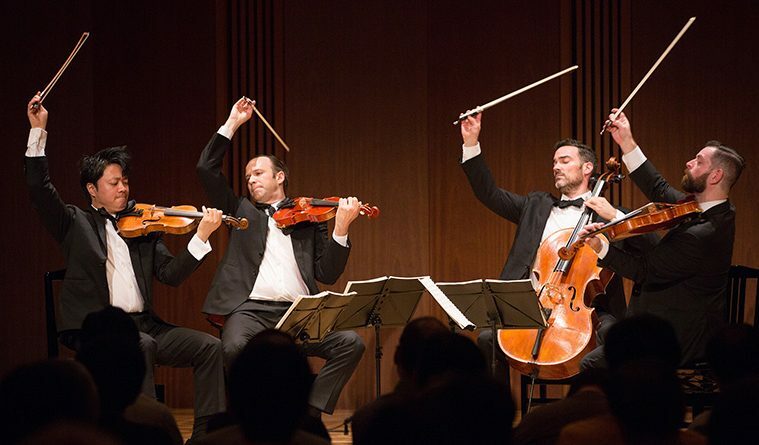 The Miró Quartet loves to expose an audience to the panorama of a single composer’s works. 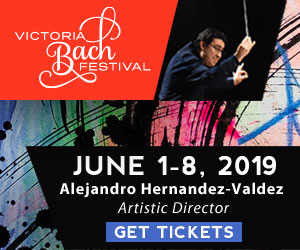 The hitch is that doing so can take a while: Performing all of Beethoven’s quartets, as the Austin group most recently did last year in Japan, requires a six-concert series. But Johannes Brahms’ three quartets fit neatly into a single program. “You hear growth. You hear development in Brahms’ voice. You hear a lot of change,” cellist Joshua Gindele says. 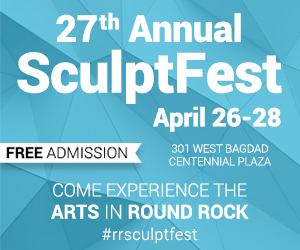 “We think it’s fascinating.” After showcasing the rich-textured works in its tour of summer festivals, the quartet brings them now to Texas: It performs them Sept. 15 at the University of Texas at Austin, the group’s home, then opens Chamber Music Houston’s season with them Sept. 20. “It’s similar to listening to all of Beethoven’s quartets. … It gives you more insight into how a composer develops,” Gindele says. He offers a quick overview of the Brahms troika. The first two quartets—in A minor and C minor—have a kinship in their terseness and tension. But the A minor is contrapuntal and “exotic, like late Beethoven,” whereas the C minor unfolds more straightforwardly. The last quartet, in B-flat major, stands out not only because of its happier mood, but because it shows Brahms taking some chances, such as giving solos to the viola—an unconventional gambit at the time. 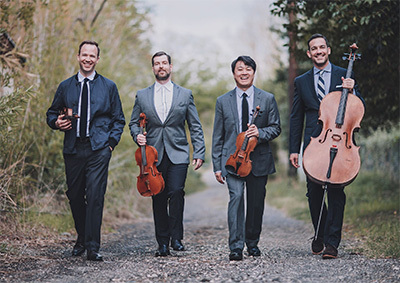 In its early years, the group coached with leading quartets, racked up competition victories, and earned the backing of musicians such as Isaac Stern, the globetrotting violin virtuoso who helped launch the careers of cellist Yo-Yo Ma and many others. As Gindele and his collaborators cultivated their style and repertoire, he says, they picked up ideas wherever they could find them. Their openness to suggestions paid off handsomely when they were grappling with one competition’s commissioned work. “My girlfriend at the time was a really great violinist, and she was listening to us,” he recalls. “She said, ‘I don’t think you guys are approaching this the right way. I think you should play this like you’re in more of a folk-music situation.’ She had some knowledge about that. So we took that and built our whole performance around it. From insights such as that to the inner workings of Beethoven and Brahms, Gindele and company share the fruits of their experience at UT’s Butler School of Music, where the group is quartet in residence. The four teach private lessons in their instruments, coach chamber groups and “carry the UT flag as we play around the world,” Gindele says. They’ve led their double lives as touring artists and teachers since arriving at UT in 2003.